Located in South Australia, TAFE SA is one of the largest vocational and education training providers in Australia. Each year hundreds of international students from more than 65 countries choose to study our courses. In an increasingly competitive global job market, it is essential to stand out from the crowd. Our courses are designed to help you do this by combining hands-on, practical learning with valuable industry placements. 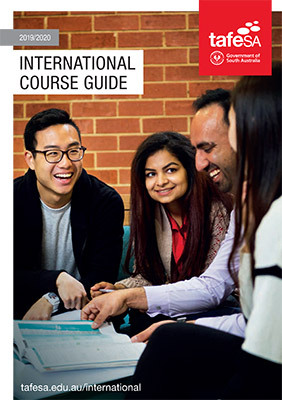 Whether you are looking for an award course, a packaged pathway to university, or simply wishing to improve your English language, we have courses to suit. Listen to some of our international students from The Philippines, Vietnam, Nepal, Malaysia and Thailand as they explain why they chose Adelaide and TAFE SA for their education requirements. Pathway to university - You can choose from over 50 University Packaged Programs with the University of Adelaide, the University of South Australia and Flinders University. Affordable Adelaide - You’ll enjoy cheaper tuition fees than many other institutions and living in Adelaide is more affordable than in any other Australian mainland city. Trust and quality - You’ll be attending a trusted government-backed educational institution with some of the most impressive training facilities in Australia. Work experience - You’ll have the opportunity to undertake work placements that provide valuable industry experience and make you more employable once you graduate. Job opportunities - Your work placements could lead to part-time job opportunities in your field of study. International student Ni Wang was studying accounting in Adelaide, when her regular bus trip to university took her in a very different direction – leading to a new career in fashion. Representatives from China’s Qingdao Vocational and Technical College of Hotel Management (QDVTCHM) will visit Adelaide this week in another step toward building a long-term collaborative partnership with TAFE SA.